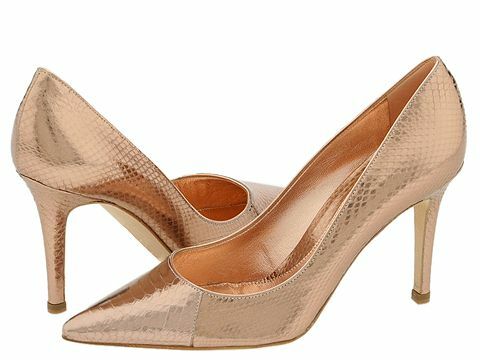 Turn heads in these gorgeous pumps by Sergio Rossi. Metallic snake embossed leather uppers. Matching heel. Leather sole with rubber tap. Made in Italy.